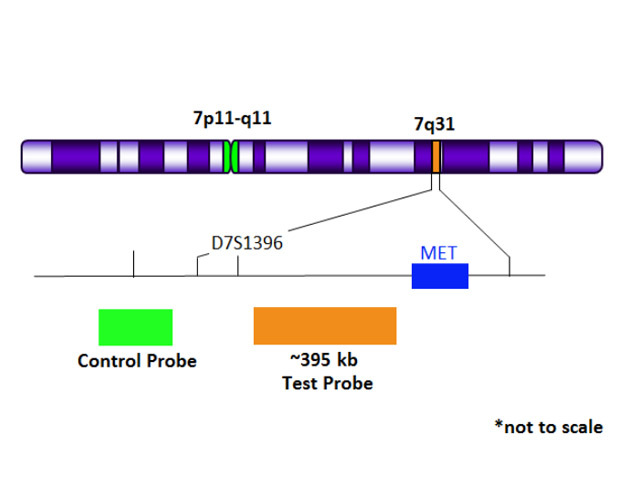 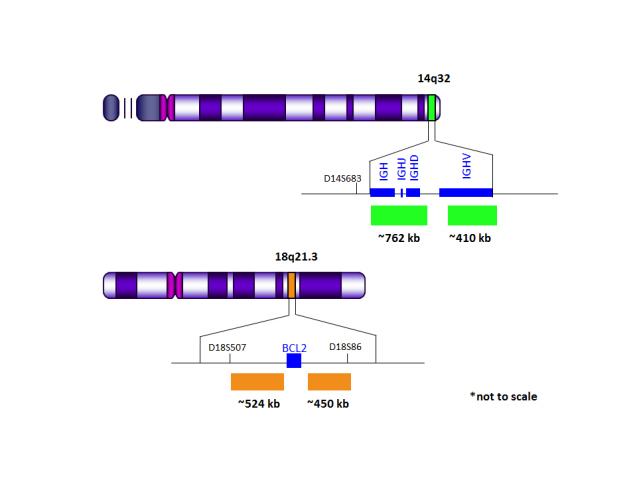 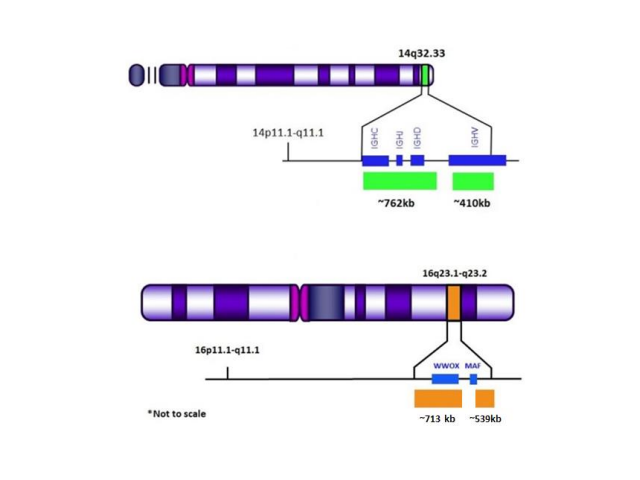 Follicular lymphoma (FL) has a characteristic chromosomal translocation involving the t(14;18)(q32;q21) loci. 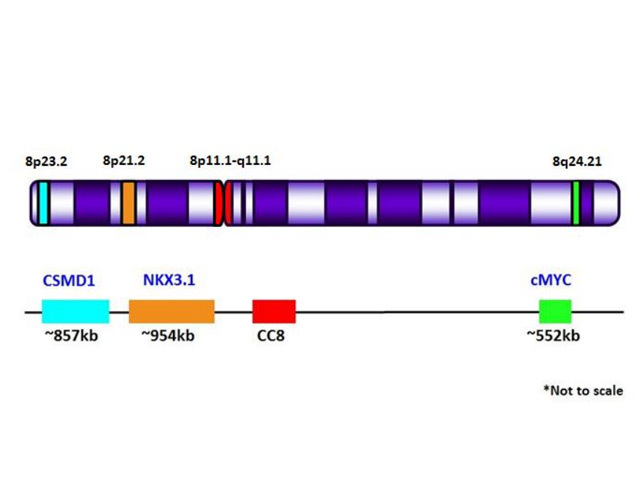 This results in the BCL2 oncogene getting transposed into the IGH gene on the heavy chain1. 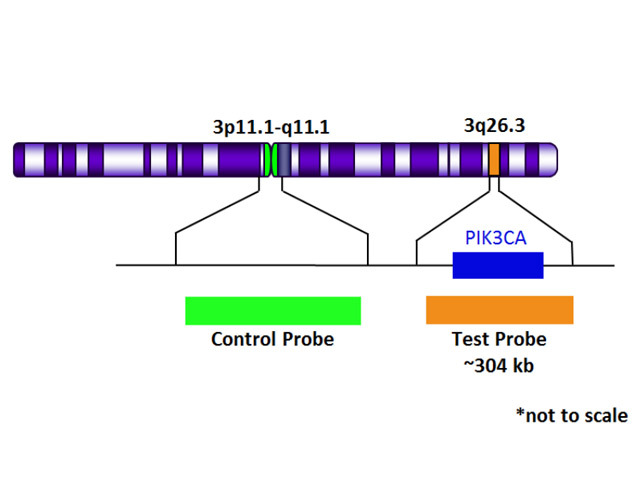 The resulting over-expression of BCL2 is strongly associated with the pathogenesis of FL2.